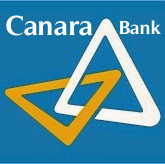 Canara Bank has published Advertisement for below mentioned Posts 2018. Other details like age limit, educational qualification, selection process, application fee and how to apply are given below. Educational Qualification: Graduation in any discipline from a university recognized by the Government of India or any equivalent qualification recognized as such by Central Government. Experience: An Officer with 5 years of Commissioned Service in Army / Navy / Air Force and not below the rank of Captain or equivalent or an Officer not below the rank of Asst. Commandant in Para Military Forces with 5 years experience. Paying the amount through NEFT in any other Bank. The selection for the post of Manager-Security is on the basis of Short-listing, Group Discussion and Interview. How to Apply: Candidates are requested to read the contents of the advertisement and ensure their eligibility before applying. Application duly completed in all respects should be sent along with the documents (self-attested) mentioned below by REGISTERED POST / SPEED POST only in a cover super scribed “Application for the post of Manager - Security [MMGS-II] in Canara Bank”.